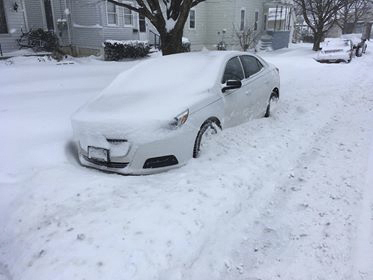 OBSERVER Photo by Craig Harvey Most of Chautauqua County had some shoveling to do Sunday morning. 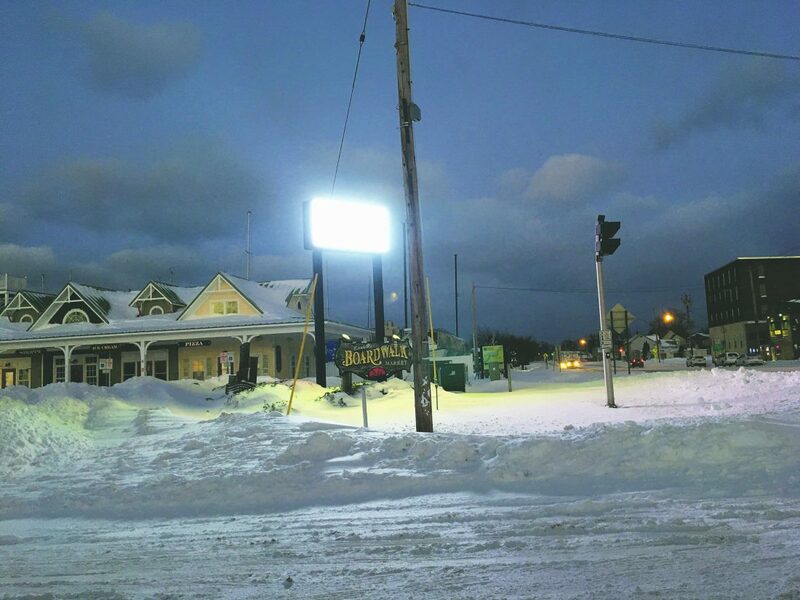 DUNKIRK — Chautauqua county was hit hard by a winter storm over the weekend, burying much of the area in snow, while blowing winds continue to bear down. The bitter wind was one of the more notable features of the weather this weekend as well. OBSERVER Photo by J.M. Lesinski The Boardwalk in Dunkirk is seen Sunday evening, where ankle-deep snow was the result of this weekend’s winter storm. Keeping warm and indoors during the inclement weather kept many off the road, as local police experienced very little in terms of accidents Sunday. “There were no accidents (Sunday), it’s actually been fairly quiet,” said Dunkirk Police Officer Josh Kozlowski. The situation is similar in Fredonia. 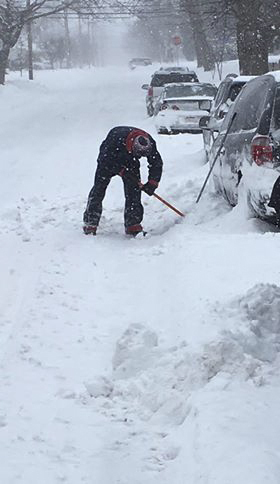 OBSERVER Photo by Craig Harvey Many people in Chautauqua County had to shovel their cars out of snow Sunday morning.